Atef Abu Saif writes in the introduction to the Book of Gaza that Gazan cultural life experienced an upheaval in 1967, when Israeli military occupation of the territory began. After that, he writes, most authors left the strip for Egypt, Beirut, or elsewhere. For this and other reasons, the short story became a popular art form in the decades that followed. After all, short forms could be more easily copied and transported to Jerusalem in a time of severe printing and publishing restrictions in Gaza. Atef Abu Saif, himself a Gazan short-story writer, divides the stories in the collection in to three distinct groups: First come those from an earlier period, when Gazan stories largely addressed the Nation and its Issues. The stories of this period rely on archetypes more than individual characters, and all three in the collection — the only group dominated by men — are stories with a message. Earliest in the collection is Zaki al-‘Ela’s “Abu Jaber Returns to the Woods,” which was published in Jerusalem in 1980. Indeed, al-‘Ela’s story is made up of archetypes: the steadfast Abu Jaber, a well-dressed (Palestinian) coward, faceless soldiers speaking through megaphones. The story mostly eschews personal histories for action in the moment. In Ghareeb Asqalani’s “A White Flower for David,” published in Jerusalem in 1992, characters are much more vivid and individual. The narrator remains a mostly blank vessel, a substitute for the reader, but the two Jewish characters, David and Esther, are sympathetically drawn. These Jewish characters are friends — if strange and exoticizing ones — when everything is structured for enmity and destruction. Abdallah Tayeh’s “Two Men,” published in a collection in Jerusalem in 1997, is similarly not about the characters, which are largely cyphers for the reader. Instead, he draws a compelling scene about secrecy, smuggling, waiting, expectation. It’s in the middle group that Abu Saif puts himself, along with Talal Abu Shawish and Yusra al Khatib. He writes that the three of them “paint a more troubled world” than did earlier writers. Indeed, in these later stories, a “heroic, collective liberation” is replaced by a more personal salvation. Whatever “heroes” exist in these stories are more recognizable as such ordinary, everyday ones. In Abu Shawish’s “Red Lights,” a taxi driver is heroic in undermining his own hopes of getting ahead by small acts of generosity. In Abu Saif’s “A Journey in the Opposite Direction,” each of the four central characters is marked by some personal defiance. “A Journey in the Opposite Direction” is certainly the most complex and interesting story in the collection, seeming to combine a bit of Shakespeare’s lovers from A Midsummer Night’s Dream, some of the search for freedom in Yusuf Idris’s “All on Summer’s Night,” and a dash of Abu Saif’s own late-summer magic. The perspective shifts between the four central characters (two women, two men), and we are hemmed in with them, multiply restricted: by local police, gender rules, class divisions, Israel and Egypt’s shutting of borders, even by the weather. Nothing is resolved — and “resolution” is not a question that’s posed, even for the individual characters—and yet they manage to stand apart from it, above it, through their humanity, their wonder, and their laughter, if only for a few brief moment. In his introduction, Abu Saif reminds us how much we hear about Gaza, as Louisa Waugh also did in her Meet Me in Gaza: Uncommon Stories of Life Inside the Strip (2013). As Waugh wrote, the 140-square-mile strip is a place that most English-language readers can describe, at least superficially, and yet very few have ever been or know it with any sympathetic sense. Upon arriving, Waugh says she felt “like I’ve been sucked inside a BBC news report on Gaza and in a bizarre way it feels almost familiar, because I have seen these images so often on TV.” And yet life is much more than a BBC report. This Book of Gaza is an entirely different Gaza: neither the sensitive first-person-foreigner book that Waugh writes nor the repetitions of the daily news. 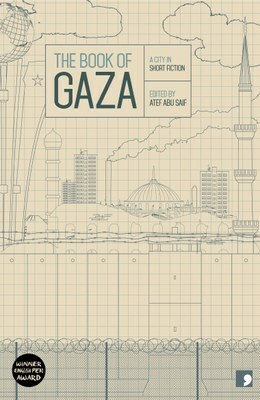 It is a book that evokes an atmosphere rather than giving us details on who, what, when, and where, and, most of all, we get an idea of the interests, obsessions, and stylistic choices of the contemporary Gazan short story. The stories are translated from the Arabic with occasional stiffness (and the occasional unnecessary footnote), but for the most part fluidly by Tom Aplin, Charis Bredin, Emily Danby, Alexa Firat, Alice Guthrie, Katharine Halls, Sarah Irving, Elisabeth Jaquette, John Peate, Adam Talib, and Max Weiss. The collection is one in a series from Comma Press, which also includes The Book of Tokyo, The Book of Liverpool, and The Book of Istanbul, and certainly whets the appetite for an examination of other cities’ short-story traditions. Hi there. I must say, great idea and an effort worth appreciating. I live in Karachi. I am really interested in buying this book. Can you please tell me from where can I get this book in Karachi or do I have to just order it? I’m afraid I don’t know much about booksellers in Karachi; perhaps a local bookseller would order it for you? Or else, yes, you could order it online.